REFLECTION: After a vicious thunderstorm I sat in a rocky cove at Wallis Sands Beach, New Hampshire, watching five to ten foot waves roll shoreward with undefeatable purpose, hitting the sand with resounding break patterns of power and force. Wallis Sands Beach, N. H.
Distant waves, calm and peaceful, rose in height, appearing as an expanding mirror. Whitecaps majestically crowned these waves with increasing frequency. Photographic water sprays occurred as waves broke over rocks impeding their progress. 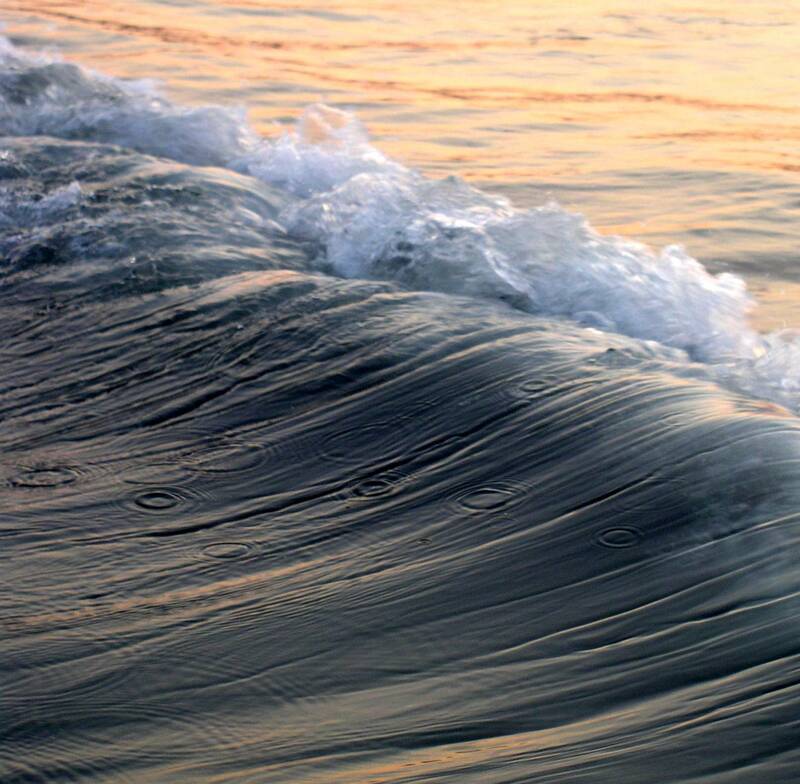 Some waves raced to catch up with others, merging in an empowering union. Others gracefully moved at their own pace, seeming content in their journey. Some faded out, absorbed by following waves. The white foam created by the waves’ final landing brought beauty, chaos, turmoil, debris, power and hope to the shore.